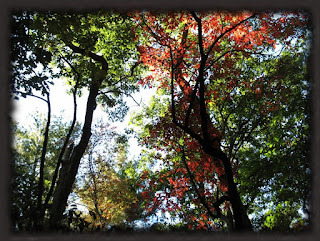 Fall will be here soon…. The days are getting shorter. The air is getting just a little bit crisper every day. I’m not wishing the days away, but I am looking forward to it. I love the smell of autumn… Ironic that things are decaying. It’s just a cozy time of year. Spicy and colorful. 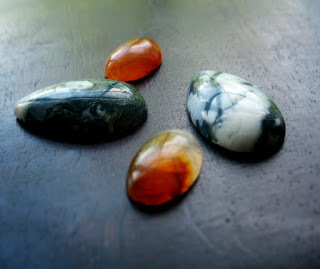 I found these gorgeous agate cabs this past weekend. 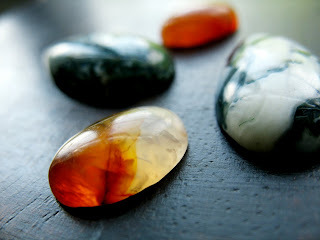 Moss agate with gorgeous inclusions and then some pretty little ovals with a delicious burnt orange color graduating to white. I’ve got plans for that one already. I’m anxious to get the fall line in the store. Lots of copper, because to me, copper surface can create the most reminiscent colors of fall. And I believe I’ve mentioned before on this blog how I LOVE copper! Sterling and brass make appearances also.